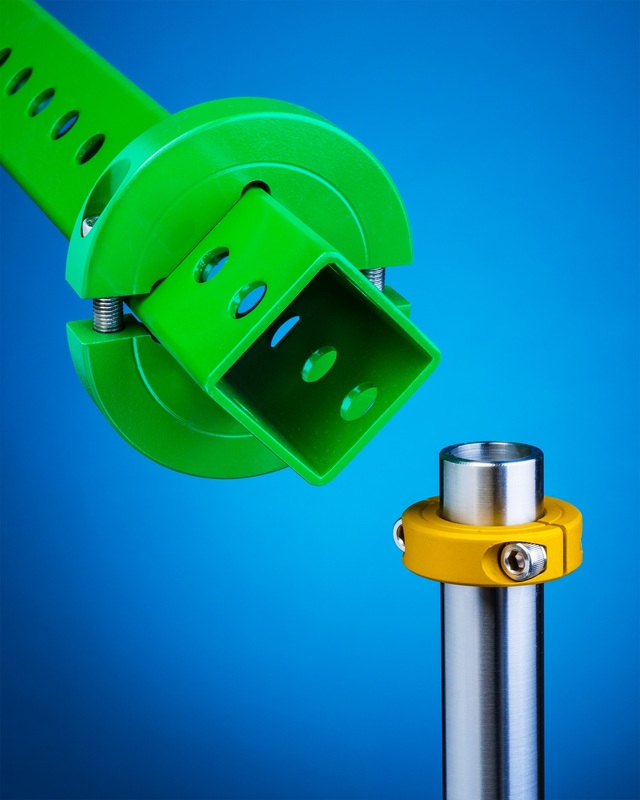 A line of machined two-piece shaft collars for locating and mounting objects onto square and round structural tubing or for mounting tubing onto a wall, display, rack, conveyor, or machine, is being introduced by Stafford Manufac- turing Corp. of Wilmington, MA. Stafford Shaft Collars for structural tubing feature a square or round bore and are sized to fit square or round tubing securely for locating, stopping, mounting, and attaching objects. Infinitely adjustable and having a smooth bore to attach securely without marring the tubing, they can be modified on the outside diameter to accommodate a wide range of mounting arrangements. Available in 1/2” to 6” I.D. round and 1/4” to 4” square bore sizes, Stafford Shaft Collars for structural tubing are offered in aluminum which can be anodized in colors, mild steel which can be plated, paintable- and weldable steels, and stainless steel. They can incorporate mounting flats and tapped holes on the O.D. and be modified with other special customer requirements. Stafford Shaft Collars for structural tubing are priced according to material, size, and quantity. Price quotations are available upon request.